Jackson Palmer, founder of dogecoin, has refused offers of investment from Australian capitalists’ venture. He has announced that his digital currency is not up for grabs. Dogecoin’s community was started on Reddit where it found its following. On Thursday night, there was an Australian dogecoin meet up, organized on Reddit. Surprisingly, Palmer mentioned that he is pro-government regulation of cryptocurrencies which comes as a surprise. 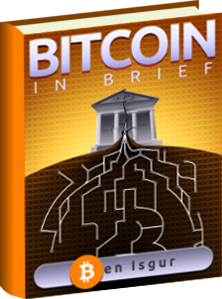 The attitude found in the bitcoin community generally is that one of no government interventions or regulations. Dogecoin is another digital currency, like bitcoin, that has taken root in the cyber-world. The coin features ‘doge’, a Shiba Inu (breed of dog) from Japan. Its logo is based on the popular internet meme. The digital currency has gained popularity as a tipping system. Users on Reddit, Twitter, and with the recent addition of Facebook donate dogecoin to each other as reward for posting interesting content or to introduce them to the system. 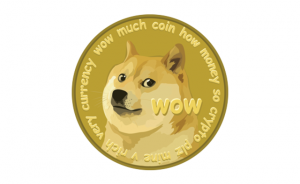 Palmer imagines that dogecoin will become the currency of the internet, able to be reused. He further thinks that instead of the ‘Like’ being used on Facebook, one would be able to tip with a few dogecoins. “I honestly think it’s on its way to becoming the currency of the internet. This is the reason why, if you have a look at Facebook credits for example; all these different corporations try to force digital credit upon their users. That’s why if you try to put something on the Apple store or Facebook App Store at the moment it gets banned because they have their own credit systems they want to control or police and cash in on at the end of the day. That’s where Dogecoin fits in. The internet is asking for a currency akin to the US or Australian dollar that you can send to somebody else without having to worry about it and it’s more tangible than clicking a button and that person getting a notification that said I liked it. Ultimately that’s where I see it landing. When somebody likes something that I post it’s more tangible than a little bit of reputation. It’s not something that can be manufactured. It also costs the end user. That’s how a currency works. Or it should. The fact that if I post a cool song my friend loves, we can go to the bar on Friday and say ‘I bought you a beer with that’. I don’t think you’ll be buying cars, yachts, houses with this stuff, but micro transactions based off social media. Damn. That’s where it’s at,” he said. Palmer is not interested in short term gain but rather he has big plans for the future. He think that dogecoin will be the currency of the future. According to Techly, Palmer turned down half a million dollars from two capitalis venture firms.